This is the gateway for the outdoor unit to receive high voltage. 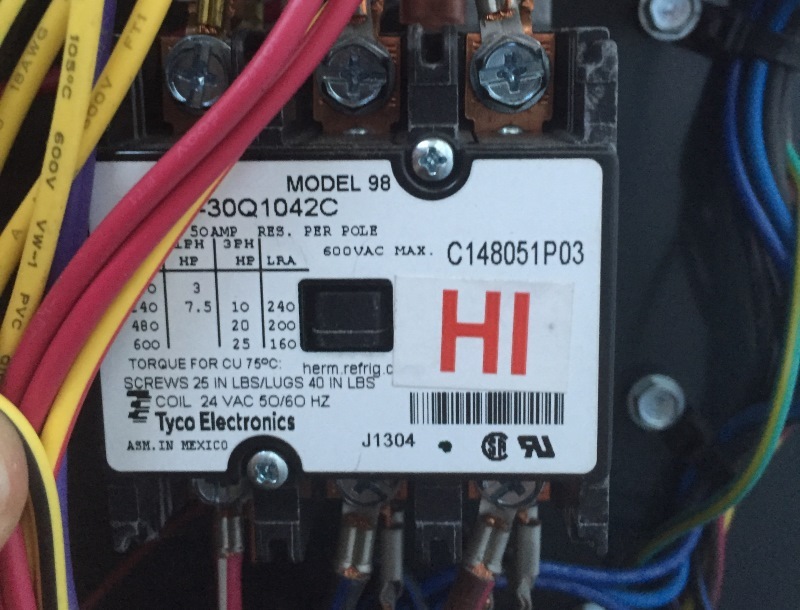 Low voltage is sent from the air handler after it has gotten the signal from the thermostat to turn on and cool. Once the low voltage reaches the contactor, a magnet pulls the contactor points in allowing the flow of high voltage to the outside unit motors and compressor. Ants can be fond of these contractor points, and also power surges can cause them to fail.